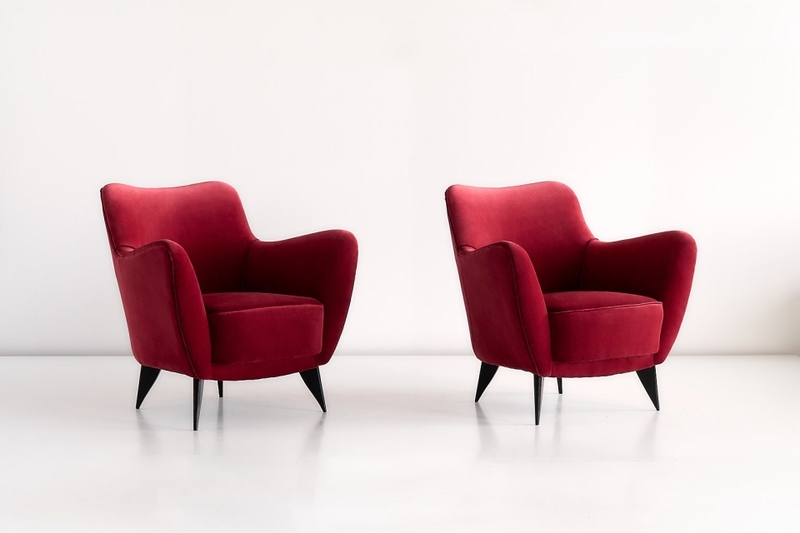 A pair of Perla armchairs designed by Giulia Veronesi and produced by ISA Bergamo, Italy. 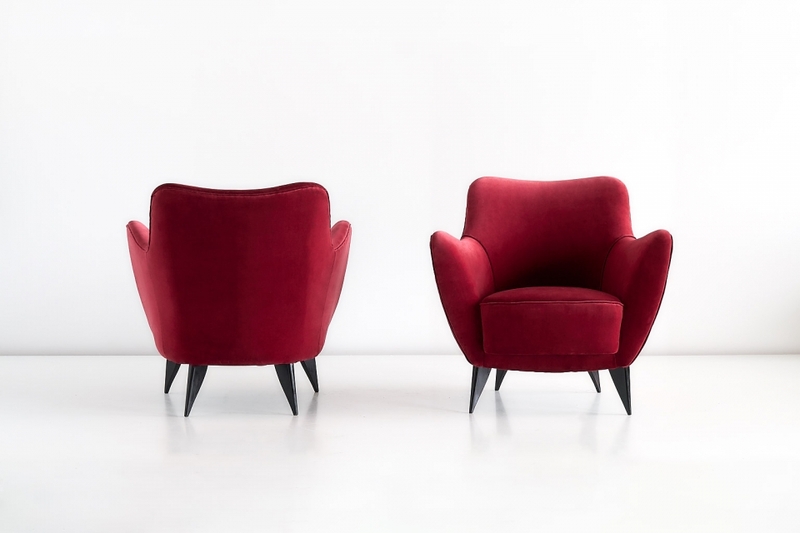 Its sensual curves and the elegantly tapered legs give the chair a sculptural and modern feel. 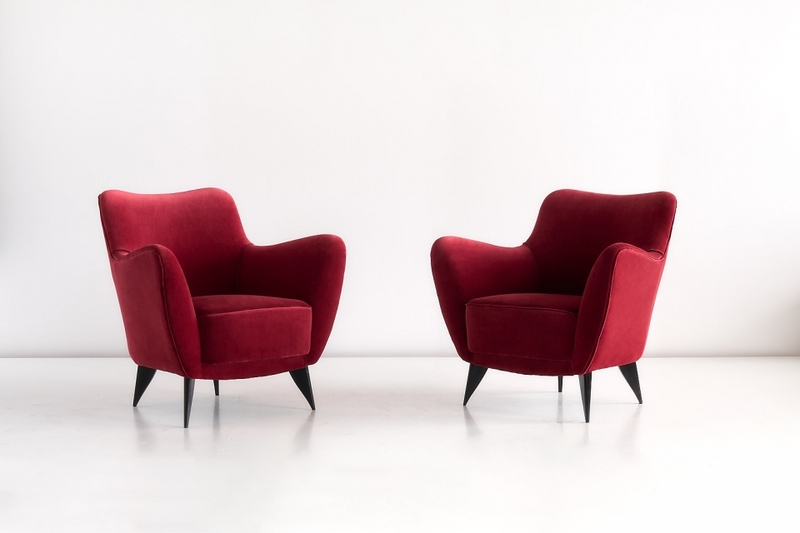 These sumptuous armchairs have been fully reconditioned and newly upholstered in a luxurious red Rubelli ‘Spritz’ velvet. Condition: excellent, fully reconditioned and newly upholstered in a red Rubelli velvet.